We were just mentioning yesterday morning how we had first begun tracking NDEV on December 12th, and had subsequently witnessed a huge 250% move to the upside from our observed low of .30 to a high of 1.05. Speaking of continued movers, a week ago today was when we caught on with MMEG, and it has been nothing but bullish activity since then. .0025 and return to .0037, adding another 48% to its cumulative gain totals on the day. 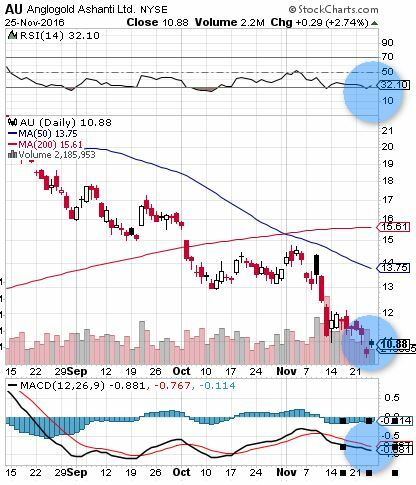 A stock with this kind of volatility is definitely worthy of continued observation. We also want to provide a quick update on PVCT which we tagged in yesterday’s extended watchlist. The stock made a modest but solid 28% move from .018-.023, and we’ll want to continue to keep an eye peeled for signs of a continued uptrend. 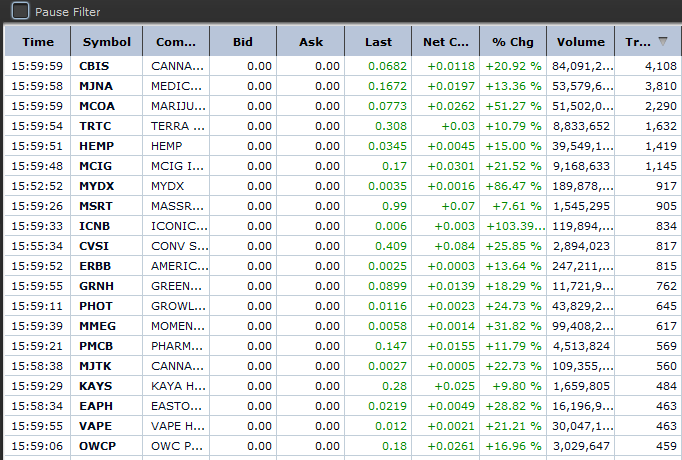 Last but most certainly not least, we want to share an image of yesterday’s top traded OTC stocks, nearly all of which are in the cannabis space, which we’ve been drawing heavy attention to over the past several months. We released a reminder video to that effect over the weekend and published it in yesterday’s report, and were obviously met by a huge sector-wide surge. We spotted ORRV in our chatroom yesterday, signaling it to our members at .0002 x .0003, and it went on to close at the high of day of .0008. That was good for a single session gain of 167%, and since ORRV closed at its high on abnormally high volume, we want to place it on momentum watch in the event of a possible continuation today.